Results of Decanter World Wine Award 2017 (DWWA) announced. 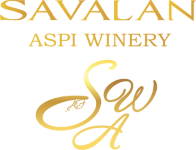 Savalan Limited Release Dry wine, the 2013 harvest, receiving 86 points, won the bronze medal at the Decanter World Wine Award (DWWA) for the second time, as “well-made, honest and delectable wine”. Decanter World Wine Award (DWWA) is the world largest top wine competition, which has been held annually since 2004 in London. This year 219 experts from different countries, including 65 Masters of Wine and 20 Master Sommeliers, tasted a record number of wines in the history of the competition – more than 17200 samples of wines (8% more than in 2016). Judges worked in sections built on a regional or stylistic basis. They didn’t know wine producers and brands. The assessments made by each judge were then discussed and agreed. Wines were assessed on a 100-points system. Since the standards of the competition are very high, only wines which gained the greatest assurance of consumers receive the award. Thus, the results of DWWA have a significant impact on the choice of wine purchasers, HoReCa industry professionals and wine collectors all over the world.